What does digital readiness look like in manufacturing? Manufacturers must achieve digital maturity across their broader enterprises. A Deloitte study of organizations that are taking the lead shows the steps needed to achieve digital maturity. Many industrial companies find themselves in a unique position regarding the Fourth Industrial Revolution. Despite their early lead implementing automation and computer programming in the factory and using technology to automate portions of supply chains, many manufacturers seem to be falling behind in adopting broader digital transformation initiatives that span the entire enterprise (figure 1). In an era where “disrupt or be disrupted” is fairly pervasive, limiting the digital strategy horizon to a few years and failing to advance along the digital maturity can increase the potential for being left behind. But there appears to be optimism. Analysis of the survey data identified a group of frontrunner organizations in manufacturing that are leading on the path toward digital maturity, as measured by not only their commitment to digital as the key ingredient to future business success but also their readiness to adopt advanced technologies. The subset of 193 respondents studied for this article represent industrial products, aerospace and defense, and construction companies from 19 countries spanning the Americas, Asia, and Europe. All respondents are C-level executives, including chief technology officers (18 percent), chief executive officers/presidents (17 percent), and chief information officers (16 percent), with the rest divided among chief operating officers, chief financial officers, and chief marketing officers. All represent organizations with revenue of US$1 billion or more, with 53 percent coming from organizations with more than US$5 billion in revenue. The move toward becoming a digital enterprise generally starts with successfully bridging the complex physical-digital-physical (PDP) loop, a hallmark of the Fourth Industrial Revolution. At its most basic, this complex cycle enables real-time access to data and intelligence throughout the business, giving actionable insights to operational leaders for making game-changing decisions. In manufacturing, this PDP loop has become common in the product life cycle, whereby developers create a “digital twin” of a physical product they are designing and then use real-time data and analysis to optimize the product design across a number of parameters before sending the product into production. The PDP loop has given rise to a move from linear supply chains toward digital supply networks (DSNs). DSNs are dynamic, integrated networks characterized by a continuous flow of information that facilitate automation, add value, improve workflow and analytics, and generate insights.5 A truly digital enterprise takes this DSN concept across all aspects of the business, including production, human resources, finance, sales and marketing, and customer service, creating PDP loops that continually show actionable business insights. What are the keys to achieving digital transformation for manufacturers? Using the data from the global survey, our analysis identified two important characteristics of manufacturers leading the march toward digital transformation: a high understanding of the business value of new technology solutions and adoption readiness for those new technologies. Applying this construct to our cohort of manufacturing companies identified a set of frontrunners who are leading in the move toward digital maturity. Frontrunners (26 percent) strongly believe in the business value of adopting new technology solutions for digital transformation and are ready to use the new technologies. Followers (51 percent) generally believe in the business value of new technology solutions, but lag on readiness. Stragglers (23 percent) are not yet on board with the business value of new technology solutions and are behind on adoption readiness. These frontrunners also have a higher confidence in their ability to outperform their competitors in a classic measure of delivering stakeholder value: delivering financial results. Based on survey results, frontrunners are 1.5 times more confident than stragglers in delivering strong financial results in the long term, reflecting their apparent ability to adopt new technologies that will transform the business. Companies on the forefront of digital transformation can obtain and analyze data regarding their supplier network, distribution networks, factories, etc., in ways that never existed before, often on a real-time basis. This can enable tax and finance departments to not only maintain these new tax calculations, but also empower management to make operational decisions that can lead to tax savings that are measurable instantly (and not after thousands of hours of number crunching by tax and finance). To further define how to embrace digital transformation throughout the business, we have identified four distinctive traits that most frontrunners exhibit that tend to make them digital leaders in manufacturing (figure 3). It is important to understand that digital transformation is a process, and not a binary switch. It typically requires organizations to create a digital strategy that is both incremental and dynamic, allowing for the inevitable shifts along the path as advanced technology discoveries continue and the marketplace changes. In fact, there is a strong argument for adopting a “data- and insight-centric approach” to digital transformation, one that can leverage underlying legacy technologies, but allow for application modernization as the company progresses toward digital maturity. This is a core capability of DSNs.9 Overall, all respondents identified the ability to integrate new technologies with what already exists in-house as the leading factor influencing their organization’s investment in advanced technologies. Notably, the paths diverge when comparing frontrunners’ investment reasons with followers’ and stragglers’ choices. Frontrunners look to technology’s long-term impact and they care how that technology will increase customer satisfaction/engagement.11 Both factors reflect a broader view of how advanced technologies are part of a long-term digital strategy, one that is in lock-step with customer needs to maximize business results and deliver customer value. Frontrunners were nearly two times more likely to connect investments in advanced technologies to increasing customer engagement than stragglers. In contrast to the “long-term impact,” stragglers were four times more likely to invest in technologies based on their ability to show “quick wins.” Nonetheless, this short-term approach is limiting, and can stand in the way of digital maturity. Part of the promise of the Fourth Industrial Revolution is the creation of new ecosystems that could drive value in novel and disruptive ways. The combination of advanced manufacturing with increased connectivity and the shift toward an information-based economy seem to create an imperative for manufacturers to identify how they will expand their ecosystems to thrive.12 Our study explored several ways in which many companies pursue beneficial relationships that contribute to an ecosystem approach, with frontrunners outpacing stragglers in several key areas (figure 4). Frontrunners tend to move quickly on digital initiatives by bringing in the resources needed to advance them. They are twice as likely as stragglers to outsource a specific task to their ecosystem until they can build expertise internally. A leading machinery and equipment manufacturer is among the frontrunners to integrate digital in its core. The company’s global network of facilities, assets, and products is integrated with digital technology and connected capabilities. This approach enables the company to effectively manage its inventory and parts availability, along with predicting parts replacement/rebuild. Using advance data analytics, the company identifies the optimal time for offering its maintenance capabilities, thereby reducing costs for customers. The company also collaborates with technology startups in the United States to drive digital into its business. All this has resulted in the formation of a strong connected ecosystem for the company. Beyond the impact that the Fourth Industrial Revolution is having on partnerships, ecosystems, and customer value creation is its impact on the workforce, which must adapt in the face of advanced technologies, shifting business models, and digital transformation. As our report The digital supply network meets the future of work suggests, in the coming years almost all work will likely involve people working alongside technology or robots they are not currently working with today.15 And, contrary to many predictions that machines will replace the human labor force in the coming years, historically technology creates more jobs than it destroys.16 The new jobs it creates, however, are often drastically different than their predecessors, requiring different skill sets. The changes this would require in the current workforce in manufacturing could be far-reaching, and in many cases, may not even yet fully understood, as widespread adoption of advanced technologies is just beginning. Therefore, manufacturers should prepare accordingly. But how? The results of the global study, with 1,603 respondents across industries, suggest there is not a clear path forward in executives’ minds for planning for and addressing the effects that technology-driven changes have on their employees.18 However, frontrunner manufacturers were found to have higher confidence in their ability to address these changes than overall respondents—82 percent of frontrunners believe they are “very” or “highly” capable of absorbing the changes to come, and 64 percent are confident that, while their workforce doesn’t yet possess the right skill sets, they can successfully train their talent in digital skills. Part of this confidence may stem from the fact that the manufacturing industry has been absorbing advanced technologies for many years, since the dawn of the Third Industrial Revolution in the 1970s, which brought electronic automation to the production process. What remains important for these frontrunners, and all manufacturers, is to build preparedness into their talent management efforts, including reskilling programs that incorporate digital skills. When asked about readiness to benefit from new smart and autonomous technologies, 43 percent of organizations from Asia placed “high confidence” on their current talent and believed they had the right skills placed into work, notably higher than Europe (37 percent) and the Americas (18 percent). This seems to correlate to the number of recent science, technology, engineering, and mathematics (STEM) graduates in a country (figure 5). China and India had 8x and more than 4x of recent STEM graduates, respectively, than the Unites States (in the third position), likely providing a better skills match for digital transformation. At the heart of the Fourth Industrial Revolution is the marriage of digital information from a multitude of sources with the physical act of manufacturing. A common term for this marriage is information technology and operational technology integration.19 And, as the phrase demonstrates, technology is the instrumental enabler of becoming a digital enterprise. Study results reveal that frontrunner manufacturers have a keen understanding of how new technologies will alter their delivery of products and services. Sixty-five percent of frontrunners understand technology’s role in their transformation, compared with only 29 percent of stragglers. Frontrunners have more than a casual relationship to the advanced technologies driving the Fourth Industrial Revolution. Often, the technology is supporting another important attribute of leading digital enterprises: delivering customer-centric value through innovation. Part of the urgency surrounding the move toward digital enterprises is the tangible fear of being disrupted in the market by both traditional competitors and new entrants from other industries. This increases the pressure on most manufacturers to constantly innovate around products and services. Our study results revealed that frontrunners are adept at translating technology into innovation that delivers customer value. Seventy-three percent of frontrunner manufacturers feel they are very capable of redefining customer relationships through technology. And 92 percent of frontrunners have high confidence in their ability to deliver the best possible products and services to customers. Often these products and services reflect the digital capabilities of the Fourth Industrial Revolution, namely transforming the data generated by machines into value-added intelligence and new offerings.21 Placing the customer at the center of innovation is important for manufacturers, and most frontrunners are embracing this practice. Hone your digital strategy: At this point, most manufacturers should be finalizing their digital strategy and, in some cases, already executing against defined goals. To succeed, ensure there are short-term projects with measurable return on investment that tie into longer-term “big wins” that have the potential to redefine the way an organization delivers value to the market. Talent and workforce: As one of the biggest potential stumbling blocks for digital transformation in manufacturing, getting talent right could be critical. Invest in identifying how your workforce might need to change in the face of digital transformation. This may involve building scenarios for the skill sets that will be necessary in five and 10 years, and working backward to develop training programs in addition to new recruitment tactics that align to the scenarios. Technology: Advanced technologies can accelerate the pace of transformation in your organization. Rather than starting with a business process that is “broken,” apply advanced technology like AI and robotic process automation to a business process that is functioning well because the positive results will likely build trust and demonstrate the efficacy of technology in a well-understood business area. Value creation: Digital strategy creates new growth opportunities as smart connected products enable a deeper understanding of the customers. Prioritize and invest in technologies that add value to and enhance the customer experience. A more engaging and value-driven experience for customers is likely to help forge long-term relationships with them. Tactical, need-based digital efforts can reap immediate, short-term gains, but they can also slow the overall pace of digital maturity. Building a digital core and developing a strategy guided by a digitally fluent leadership team that is ready and willing to make targeted technology and talent investments could create value, unlock untapped market potential, and bring in competitive advantage. 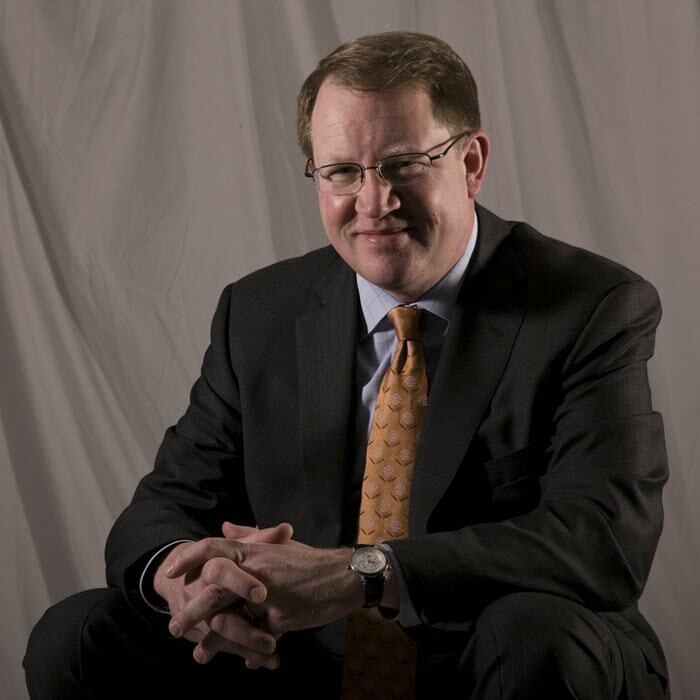 Paul Wellener is a vice chairman with Deloitte LLP and the leader of the US Industrial Products and Construction practice with Deloitte Consulting LLP. He is based in Cleveland, Ohio. 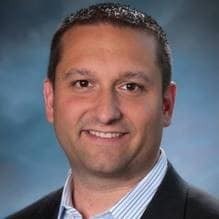 Stephen Laaper is a Digital Supply Networks leader with Deloitte Consulting LLP’s Strategy and Operations practice. He is based in Boston, Massachusetts. The authors would like to thank the tremendous team that helped with the development of this research and report, including Brenna Sniderman, senior manager and subject matter specialist at the Deloitte Center for Integrated Research; Suzanne Hupfer, research manager at Deloitte’s Center for Technology, Media & Telecommunications; Ankit Mittal and Kruttika Dwivedi, senior analysts at Energy, Resources & Industrials Research & Insights; Justin Fineberg, senior manager, Tax, Deloitte Tax LLP; and Kavita Saini, manager with Deloitte Insights Publishing. Distinctive traits of digital frontrunners in manufacturing has been added to your bookmarks. Distinctive traits of digital frontrunners in manufacturing has been removed from your bookmarks.